Office move. Those are two words that strike terror into the heart of any office manager. The downtime required for an office move means that every second is critical to restoring normal operations as fast as possible. That’s why you should get several bids before choosing your office mover; an office mover that has experience in your field can save your company hundreds or thousands of dollars in the long run. Besides the basic questions (reputation, insurance, etc. ), there are a few particular points you should hit on to separate the most qualified office movers from the rest of the pack. Ask these 4 questions and picking the right office mover will become a lot easier. 1) Are you experienced with moving hardware, such as computers? In 2013, electronics are the lifeblood of almost every company. And for a few hours, your company is temporarily put on life support as its electronics are moved from one office to another. Since items like computers, servers, and hard drives are especially venerable, be sure and ask any prospective office movers how much experience they have in moving electronics. Time is money. Each second of downtime your office is essentially dumping buckets of cash down the toilet. 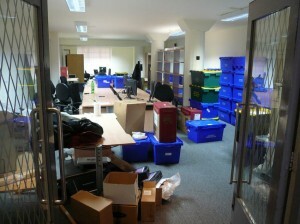 This is why an office move must involve extensive planning so the move itself can run like clockwork. A major part of this includes taking inventory. Doing this with large office furniture and electronics will help to avoid losing any critical equipment and get you back to work sooner. Look for movers that will provide a project manager to work with you from the estimate all the way through the actual move. A project manager will guide your company through all the little things that employees can sometimes overlook, and keep your office move on schedule. In addition, they can assist your company in putting together an internal move management team to take care of all the day-to-day moving preparations. We recommend doing this to keep employee morale high. After all, this is a stressful time for them too and making them feel like they are an important part of the process is key. 3) What experience do you have in my industry? Moving an accountant’s office is much different than, for example, a nuclear waste facility. Ask any office moving company how much experience they have in your particular industry. Better yet, see if they can provide you a list of references of companies similar to yours. Chances are, if the office moving company has been around for a long time, they have probably moved a company like yours (with the possible exception of the nuclear waste facility). 4) How you will protect the office during the move? Since most companies lease their office space, it is vital that movers take extreme precautions to avoid damages. Most movers will provide floor protection, usually in the form of plastic sheets or runners. In addition, movers will typically use moving blankets to protect items. We would like to note that our company in particular has a unique system in place for protecting office furniture and equipment. Shrink wrapping and padding of all valuables is included in all of our office moving services free of any extra charges. 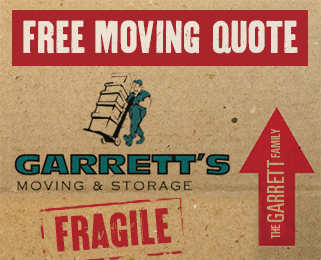 Garrett’s Moving and Storage are experienced Dallas office movers. We’ve been moving offices large and small since 1992. To request a comprehensive, on-site office moving estimate for your Dallas area office, click here. We’ll be in touch within the next business day. This entry was posted in office moving. Bookmark the permalink.